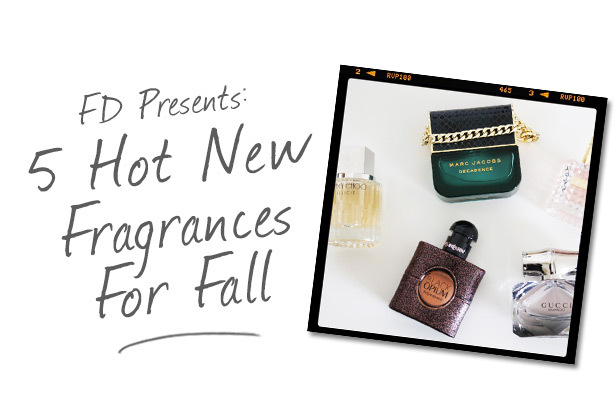 Fall is officially here, and so are all the brand new fragrance launches! Since there are so many on the market right now, Steph has decided to sort (and sniff!) through some of her favourites for the new season. Fancy winning a bottle for yourself? Scroll down! 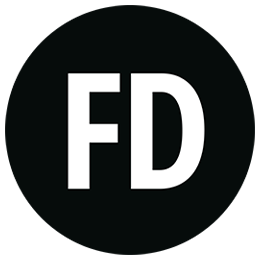 The first fragrance is Marc Jacobs’ newest addition to his ever-growing line: Decadence. The perfume is packaged in an emerald green, hand-bag shaped bottle and comes in a gorgeous velvet box, making it the perfect gift! The scent itself is starts off with notes of plum and saffron, with middle notes of Bulgarian Rose and a base note of amber – making it a stunning woody amber scent. The next perfume comes in the form of YSL’s Black Opium EDT, which follows on from last years EDP scent. Whilst the scent remains very similar to the previous, the eau de toilette consists of light subtle scents of coffee, citrus and jasmine. Layer it up over the eau de parfum for a scent that lasts all day. 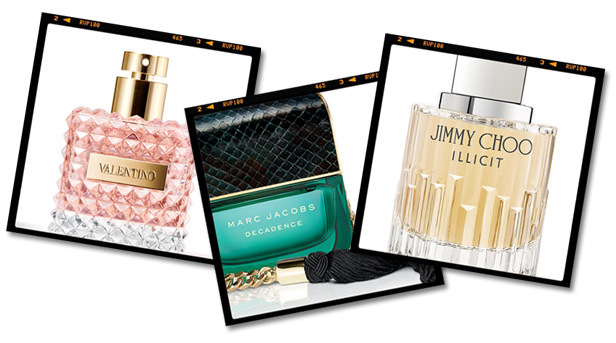 Another new release is Jimmy Choo’s Illicit (which you can win! More details down below..). The scent consists of a rich honey undertone, with light accords of ginger, orange and rose, all combining together to make it the perfect warming fragrance for the upcoming winter season. Next is another beautiful perfume from Valentino, called Valentino Donna. The scent is packaged in a gorgeous studded bottle, making it the perfect addition to any girl’s collection. It has notes of bergamot, iris, leather and vanilla, making it a really unique scent that lasts incredibly well on the skin. Last but not least is Gucci Bamboo which – again – comes in the most stunning art deco bottle. The scent itself is very light, and features notes of bergamot, lily and ylang ylang with accords of white floral and citrus. Fancy layering up? Be sure to stock up on the matching deodorant and body lotion. Now it’s onto the exciting part – the COMPETITION! If you want to win your own bottle of the gorgeous Jimmy Choo Illicit perfume, simply subscribe to the Fragrance Direct Youtube channel and leave a comment down below letting us know your favourite autumn scent. For more details head over to Steph’s blog here! My favourite autumn scent has been the Flower Bomb by Viktor & Rolf. Gucci bamboo is my fav! I love the new Bamboo fragrance – it’s gorgeous! I love perfume! Would love to try Gucci’s new Bamboo fragrance. Love Gucci perfume. Would love to try new Bamboo fragrance. I will be test driving these to see which ones I will be putting on my Santa list!!!!! valentino Donna please! !Fingers crossed !! would absolutely love to win black opium!! I love Black Opium.Thats my favourite perfume. Marc Jacobs Decadence is gorgeous. This Autumn I think I will be trying Marc Jacobs Decadence. I recently tried it in my local store and loved the combination of woody, amber and floral notes. My favourite is diesel lover dose red kiss. My favourite this season is Alien. An oldie but a goodie! What can I say? I’m an addict! I’ve subscribed to your Youtube too! 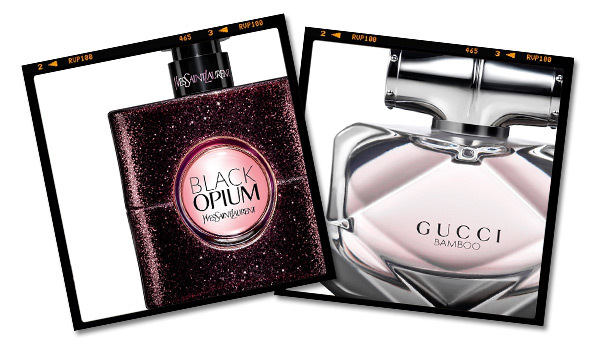 I loved Gucci Rush – then I discovered Bamboo and now am spoilt for choice! Stella McCartney STELLA is my current fave but im open to discovering a new scent!